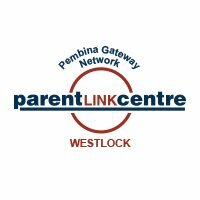 The Westlock Parent Link Centre promotes children getting a healthy start in life through: positive parent-child relationships, the improvement of parenting knowledge and skills, and fostering of optimal child development. Join us in our mission to help children get a healthy start in life. You can make a difference by volunteering your time or sharing a special talent. We meet four times a year to discuss programming, fundraising, and special events. Help us with our fundraising efforts by becoming a part of our team! The Parent Link depends on fundraising to allow us to continue our programs. The assistance of volunteers is always welcome. Parent Link runs weekly programs that require the simple donation of your time. We need volunteers to help with set up and clean-up of equipment, crafts, reading stories, sewing, washing toys, washing and sorting clothes, sharing special talents, or providing childcare during parent education sessions. Learn more about your child’s stages of development through fun, interactive activities with ASQ. Age specific questionnaires are provided, free-of-charge, for children between the ages of 1-66 months. Consider ASQ as an ongoing “developmental check- up” we can do with our children! Please contact Parent Link to book a time to collect an ASQ questionnaire for your child! You then have the option of completing the activities at Parent Link, with or without support, OR you can take it with you and complete it in the comfort of your home. Once you and your child have completed the questionnaires, please return them to Parent Link so they can go over the screen with you and provide activities for the next step in your child’s development. Most of all, fun with those that bring you! Love allows children to grow through their mistakes. Logic allows them to live with the consequences of their choices. This 6 - week program uses humour, hope, and empathy to build the adult-child relationship. Encourage your child's development through play, socialization, and games! Saturdays, Please check the calendar for dates!